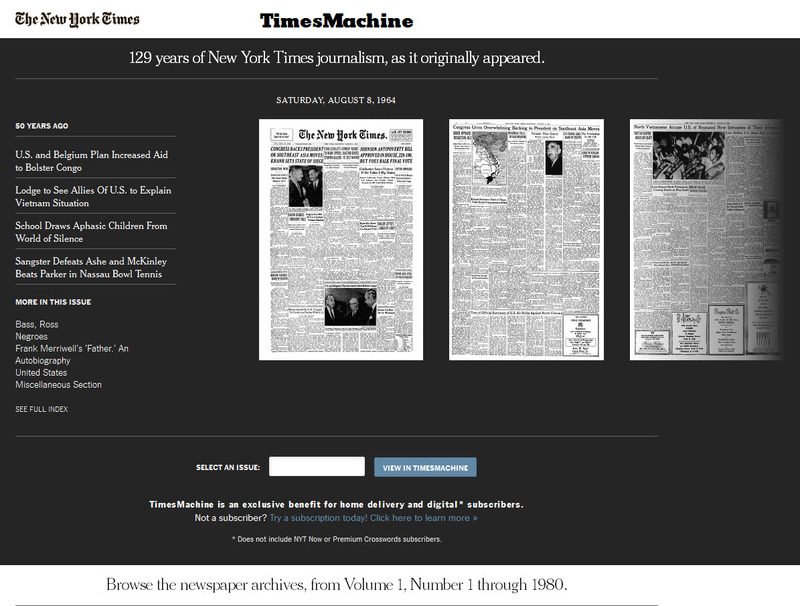 This guide shows you how to get access to the library's subscription to the New York Times and its archive, the TimesMachine. Make sure to confirm your email address by clicking on link sent from NYTimes.com. 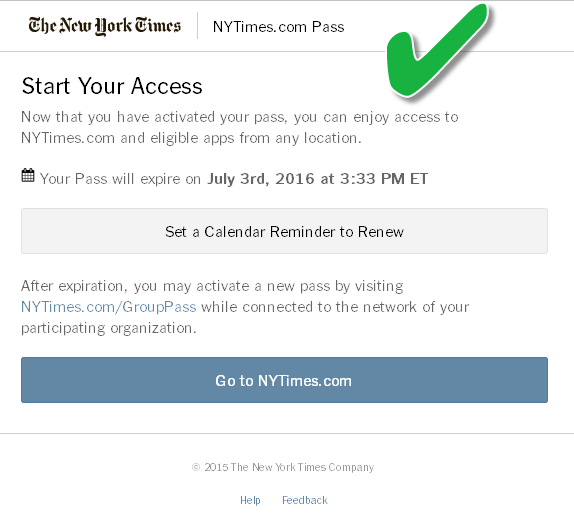 When you see the Start Your Access screen, you have successfully registered for all digital access to NYTimes.com. 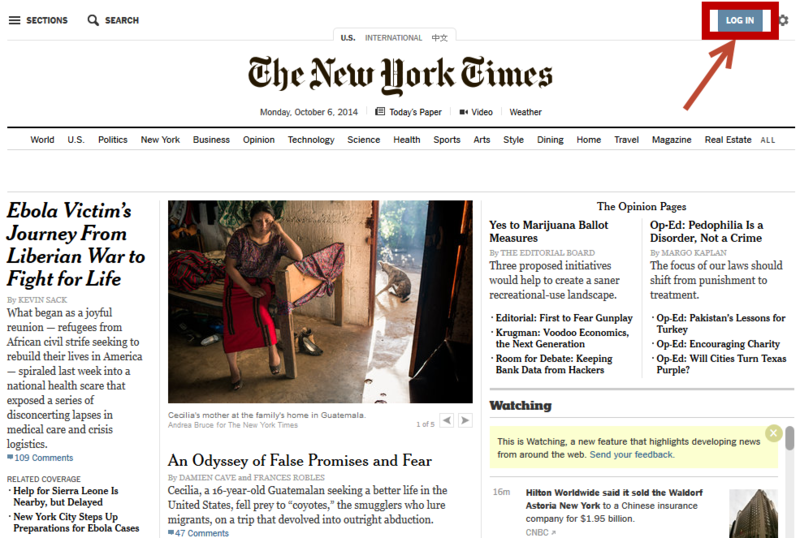 Now that your account is setup, you can access locked content at NYtimes.com and use the NYTimes app from anywhere with an internet connection. To get started, visit NYTimes.com and click on the Login button. You can browse issues from 1851-1980. When you create your account, there is an option to create a calendar alert. We suggest that you do this. Faculty must re-authenticate their account at 180 days or 364 days or the account will automatically close. It is suggested that when creating an account, also create a calendar alert for when the account is about to expire. Students do not have to re-authenticate but must put in their anticipated graduation date when creating an account.